Alright it’s time for my last show of the year! 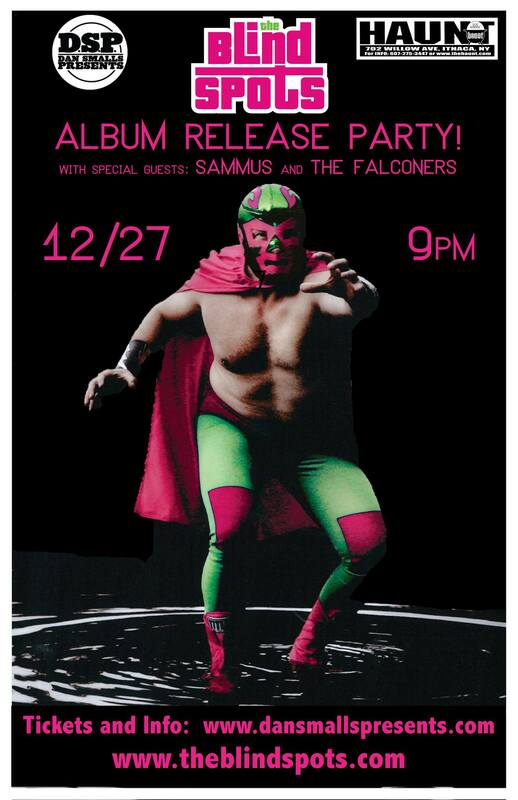 If you missed my set at ‪Big Day In‬, that’s okay — I’ll be joining The Falconers to open for none other than local favorites the The Blind Spots for their RECORD RELEASE SHOW on Saturday December 27th at The Haunt. Tickets are $10 in advance and $15 at the door. You either buy them online or direct from me — whatever you do, make sure you RSVP on Facebook and get ready!